Home » » Imo State Assembly Denies Endorsing Okorocha’s Son-In-Law For Governor. Imo State Assembly Denies Endorsing Okorocha’s Son-In-Law For Governor. A new twist has emerged in the succession drama currently playing out in Imo State. Henry Ezediaro representing Oguta state Constituency had last week claimed that the Imo state house of assembly had unanimously endorsed Rochas Okorocha’s son in law and chief of staff, Uche Nwosu as next governor but the legislative body through its Speaker, Dr. Acho Ihim has distanced itself from the claim. The Speaker, who reacted through a press statement by his Chief Press Secretary, Marcel Ekwezuo, said: “I am constrained to debunk the news making the rounds that the lmo State House of Assembly has unanimously endorsed Ugwumba Uche Nwosu as the next governor of lmo State come 2019. 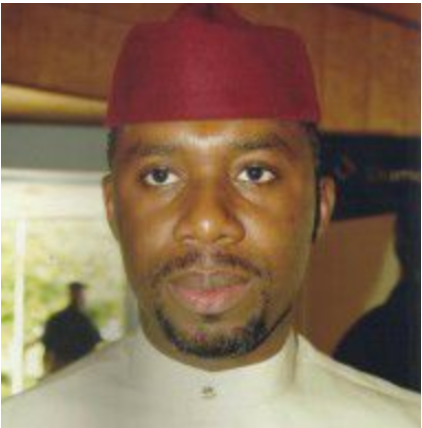 Uche Nwosu is one of our own and is eminently qualified to contest the governorship of our dear state. “No doubt, he is a member of the APC and a citizen of lmo State and these therefore give him the right to vote and be voted for. However, it needs be made clear that at no time did the members of the lmo State House of Assembly which comprises elected members of the APC and the PDP meet and endorse Ugwumba Uche Nwosu as our preferred governorship candidate or any person for that matter. “The job of elected members of the House of Assembly is to make laws and make resolutions at the plenary that will impact positively on the lives of the people of lmo State. Endorsement of candidates for whatever position is not part of it. “Each member is at liberty to have preference for any aspirant of their choice but certainly not a House matter. Its therefore mind-boggling that a distinguished honourable member is quoted to have granted a press interview declaring that the 27 honourable members have endorsed Ugwumba Uche Nwosu. “Yes, power comes from God and He gives it to whosoever He wills and if Ugwumba is favoured by God for this job then so be it. It is the duty of the APC as a party to produce a candidate and if that candidate is Ugwumba Uche Nwosu then the Honourable members of the APC extraction are duty bound to support the candidate. “In the light of the foregoing, l want to believe that Hon Henry Ezediaro who is at liberty to personally support whoever he wants to support was quoted out of context by saying the entire 27 members have endorsed Ugwumba Uche Nwosu and even donated 27 buses.